We are lucky that Aflack was at the concert that night and able to tape the performance. This beautiful song is not only a tribute to Bluegrass music, but a special performance filled with love. I am so glad that Clay got to sing Beautiful Star of Bethleham to his poppa. I could hear his poppa in the audience…and he recognized the song immediately. That is a very pretty song…and I kind of like Bluegrass music too. Thank you very much for that interesting article and the video. Brings back memories. 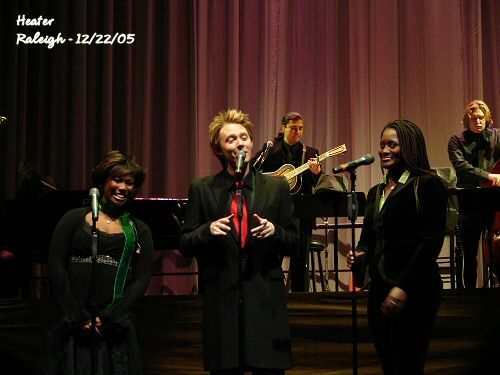 Clay Aiken can sing any type of song and make it uniquely his own…always a delight to any ear. Beautiful Star of Bethlehem is so wonderful, it's one that I listen to all year round. I absolutely love this video! I listen to it over and over all year long. The fact that Clay did it for his Papa blesses me so much! Beautiful Star of Bethlehem just touches my heart anyway, and when Clay did it, couldn't help but cry tears of joy. I don't listen to a lot of bluegrass, but would, if Clay did it. Amazing man, amazing singer, amazingly big heart! Thanks for this wonderful blog!! 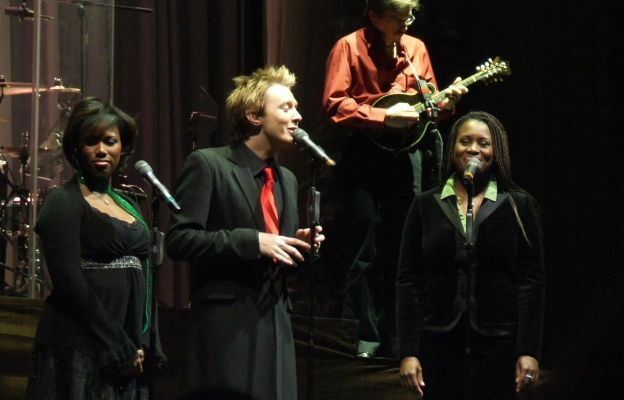 I love bluegrass music and would love to hear Clay Aiken do some more of it (although I'm not sure he'll cooperate). I also loved that performance. It brought a tear to my eye when I first saw it and now, after the passing of Clay's Papa, it's even more special. I hope that his family has a copy of it – what a wonderful memory for them all. Thanks for the interesting article and the great video! This was a gift and so beautiful. I hope that Clay's Papa remembered this ! I never really knew what made a song "bluegrass." Thanks for the info!! What a great blog! You bloggers amaze me with your talent! It was really interesting to hear about bluegrass. I really loved Clay's performance of BSOB for his Papa. It gives me chills when I hear that video, especially the one where you can hear Papa enjoying the performance. It was really beautiful! I loved this song when I first heard Clay Aiken sing it. The fact that he did it for his beloved Papa just made it even more special. Thanks so much for the information about "bluegrass." That sure was a special moment. Error: Error validating access token: Session has expired on Tuesday, 21-Aug-18 16:13:01 PDT. The current time is Thursday, 18-Apr-19 06:49:56 PDT.